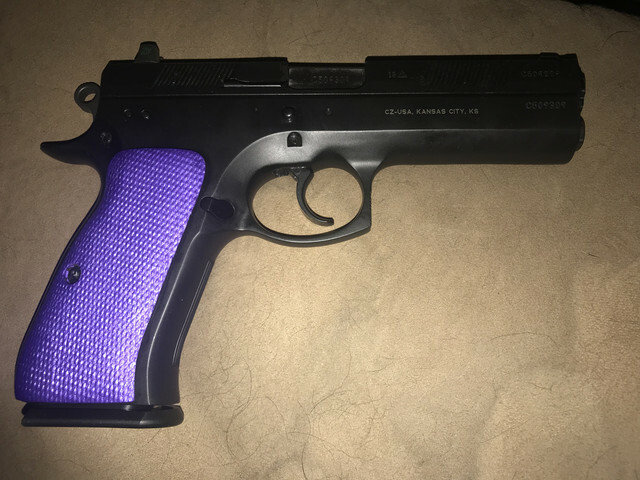 Just got some new grips for the 97. 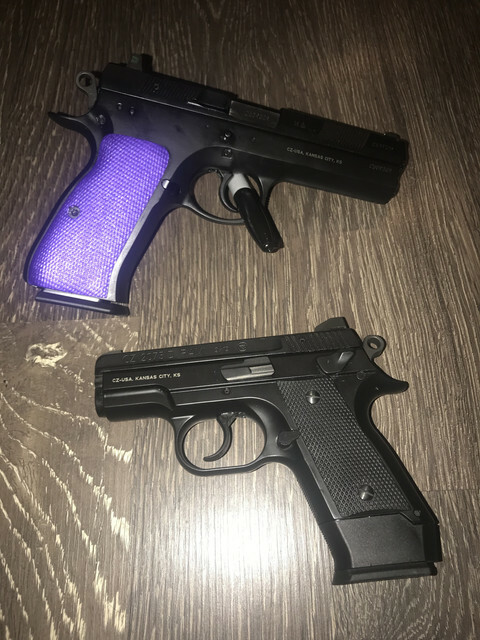 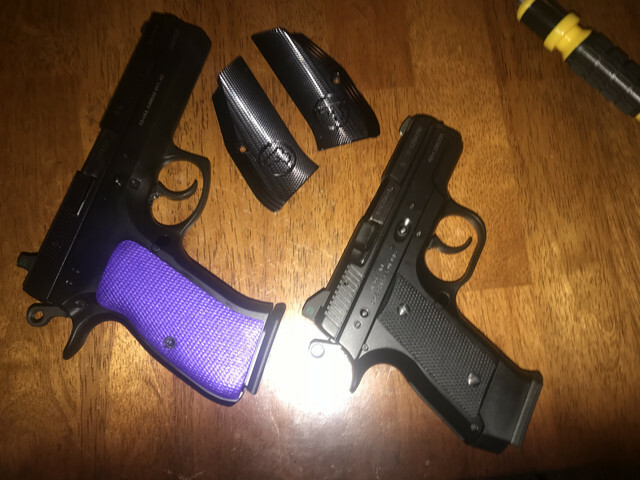 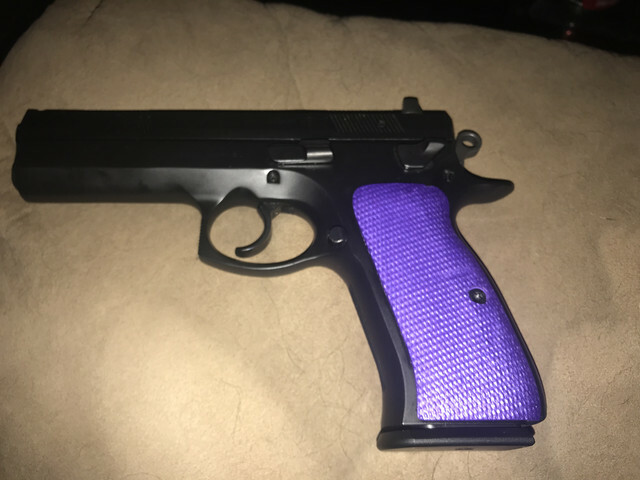 I absolutely love the look and feel of the factory aluminum grips, but purple is my favorite color. 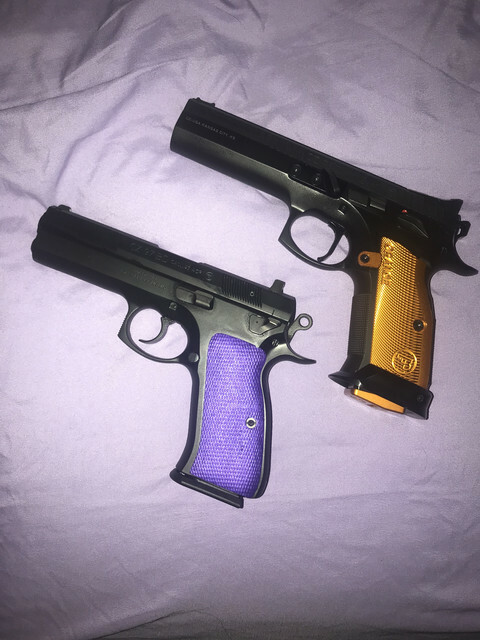 Came across these for $17 from a grip maker here in Nevada, loved the looks of the color, so decided what the heck! 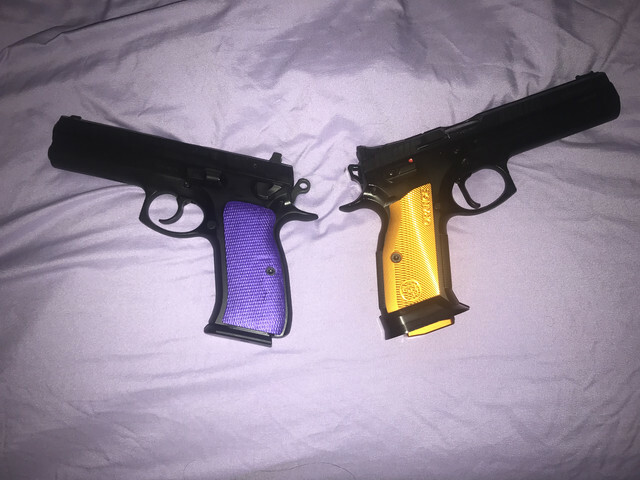 They look amazing, and feel very nice in the hand, thought I’d share. 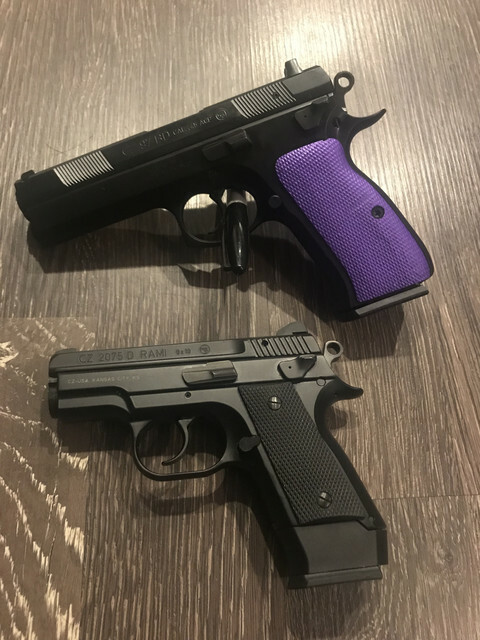 Hard to go wrong for 17 bucks. 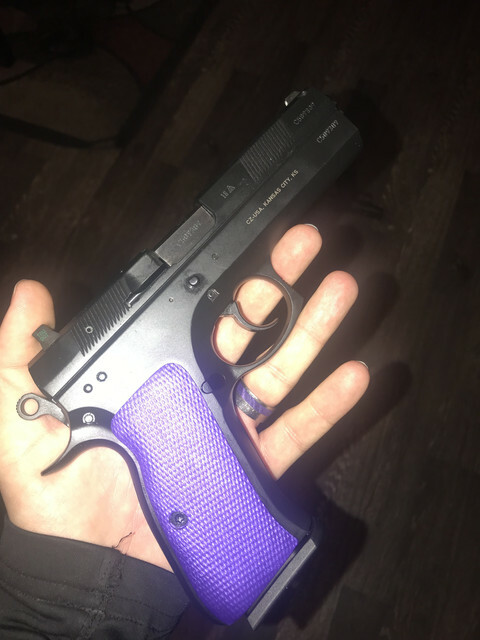 What are they made from and does he make other grips? 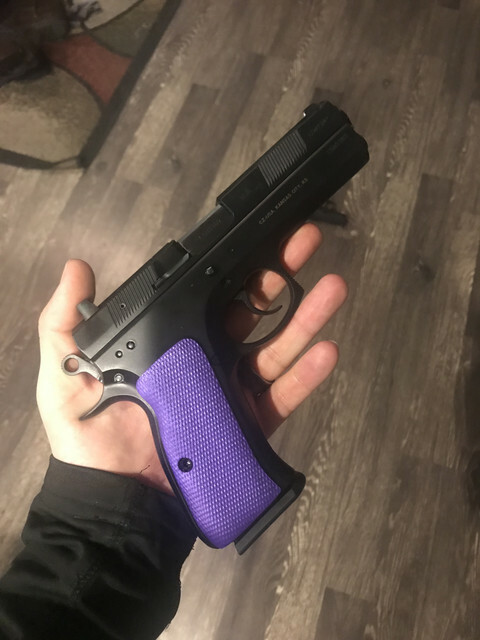 These particular grips are made of plastic. 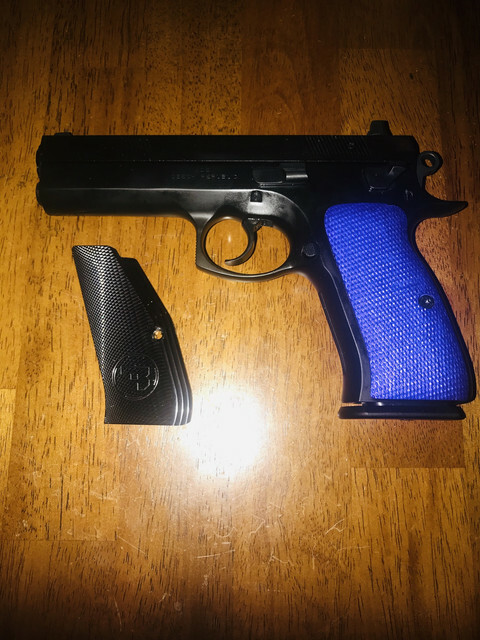 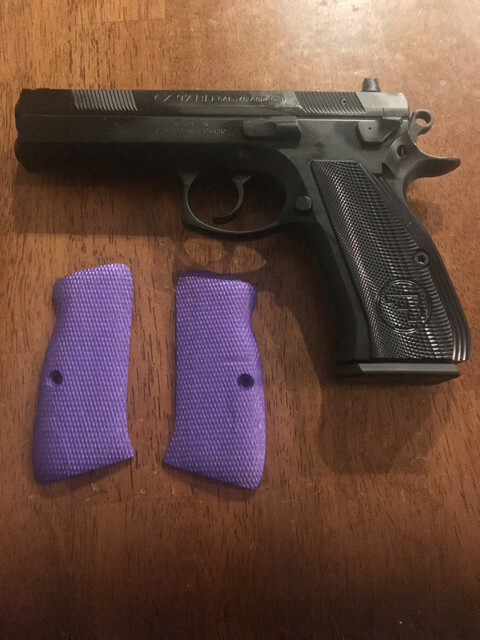 I’m not a big fan of plastic grips on a pistol, but these were very nice, extremely lightweight, very comfortable, and the fit and finish was perfect. 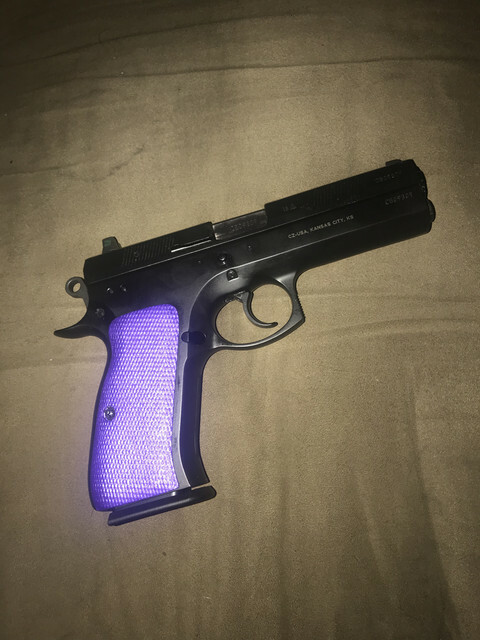 Really very nice considering the material. 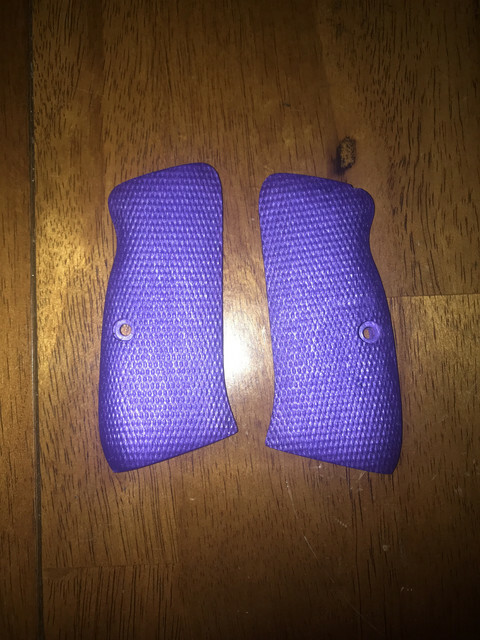 I have no connection with the seller/maker, just thought I’d share my loud purple handles. 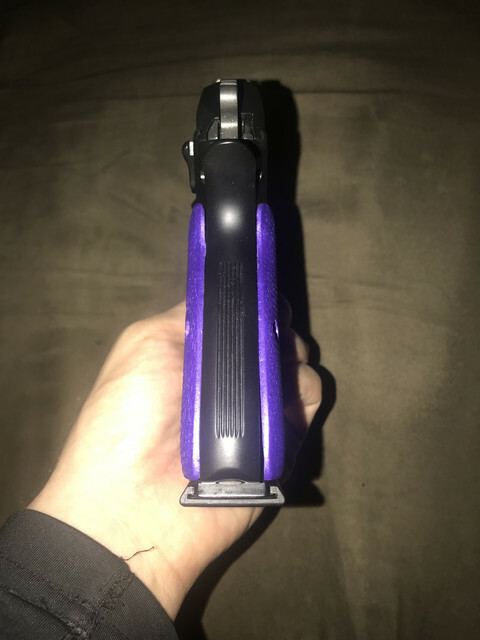 Looks Good, If you ever decide to part with the Aluminum grips let me know.